Each book in Decade contains images of the 28 different phases of the lunar month. Each book begins with a crescent moon that progresses toward the full moon and ends with a new moon. The stack of 120 books in this work combines to represent an entire decade, based on a lunar calendar. 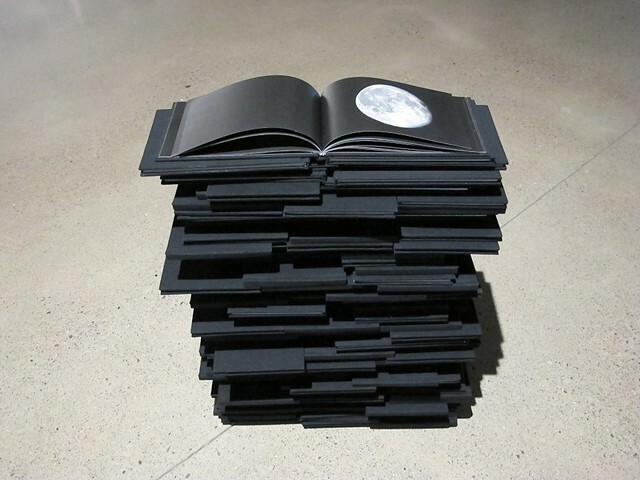 The book on top of the stack is opened to a page that corresponds to the phase of the moon on each day of the exhibition.